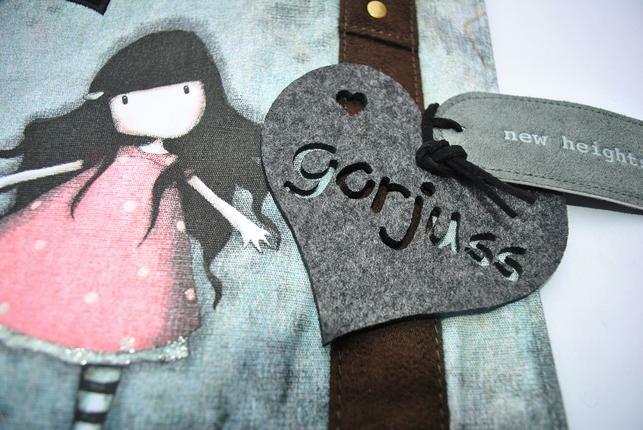 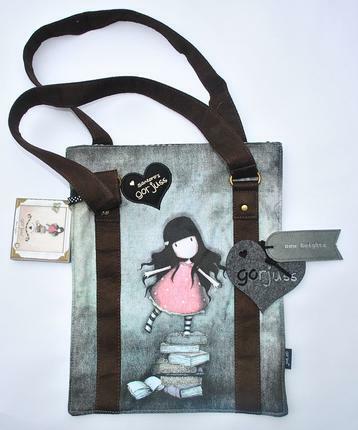 This lovely Gorjuss shopper bag is embellished with a grey suede effect tag, a grey heart-shaped felt attachment. 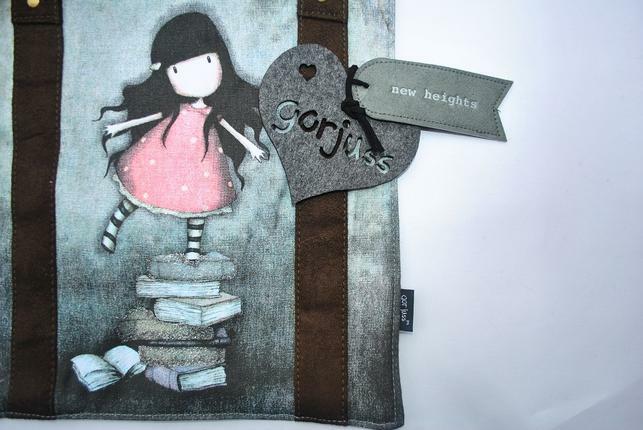 The front is finished in a quality canvas fabric displays the Gorjuss image “New Heights” and a stitched logo patch. 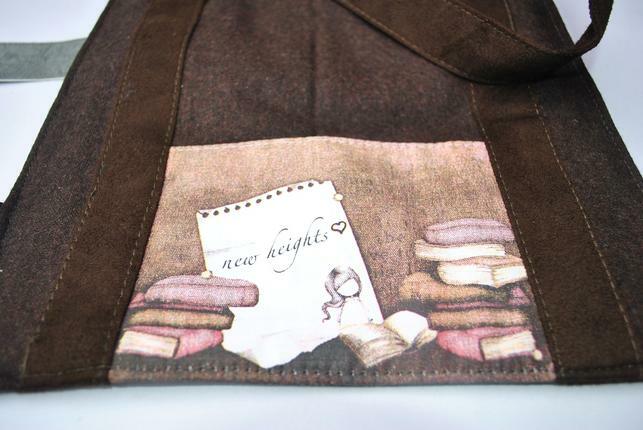 The rear is a warm brown cotton with a further themed insert at the base which reveals a small pocket. 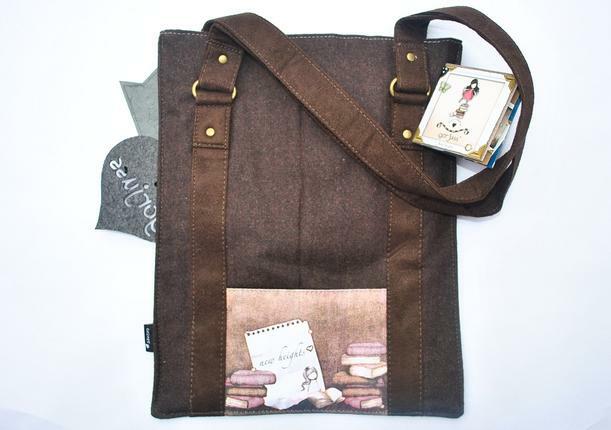 It comes with a brown suede feel long handles (can be carried on the shoulder).